It is no secret that our nation is graying and the need to plan for the succession of the approximately 76 million Baby Boomers cannot be delayed. 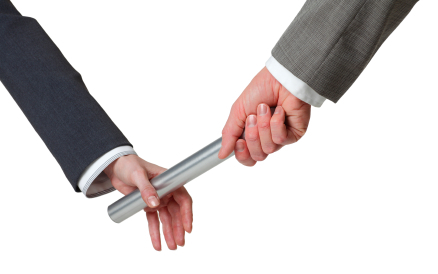 However, as we’ve worked with firms across the country, we’ve discovered that the issue of succession planning is one that most put off, deny, or ignore. Managing transitions is challenging, and it is important to address the needs of the up-and-comers while honoring retirees. This work involves much more than mechanical business processes and buy/sell strategies. It also involves balancing the diverse personalities, interests, and goals of those involved in the succession planning process so that their needs, and the needs of the organization, can be met. At ConvergenceCoaching, we are experienced in the customary and behavioral elements of succession you need to ensure a transformative outcome. To ensure your firm’s continued success, take the time to proactively plan for its future. For more information about our succession planning consulting and implementation services, contact Jennifer Wilson by email or (402) 933-2900. Jennifer Wilson provides guidance to Gen X and Y leaders – embrace Millennials, assert your leadership and innovate. This video originally appeared on the IFAC Global Knowledge Gateway.